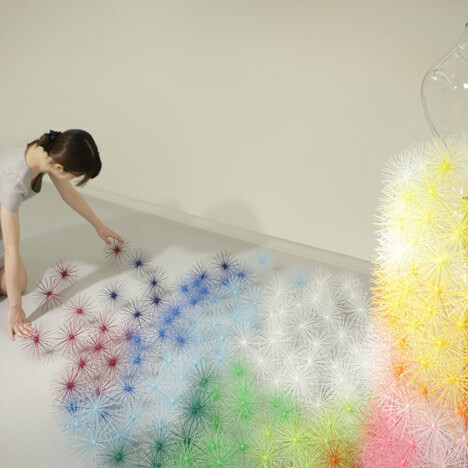 French-born japan-based designer architect emmanuelle moureaux has developed 'toge' (which means 'thorn' in japanese).A modular product that can be interlocked to each other, allowing one to freely create a variety of textural spaces. 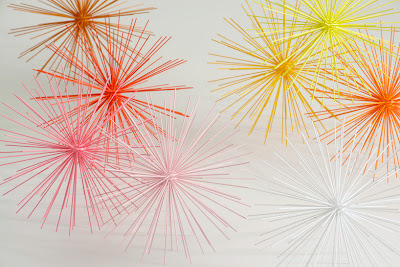 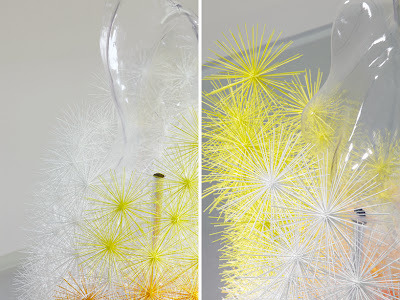 “Toge” could be used as an architectural module for creating spaces, walls or partitions, or for creating free-standing sculptural pieces.“Toge” looks soft and light as dandelion flowers but is hard as a sea urchin or chesnut. Its use as an architectural module can be applied in the formation of walls or partitions, or for creating free-standing sculptural pieces. 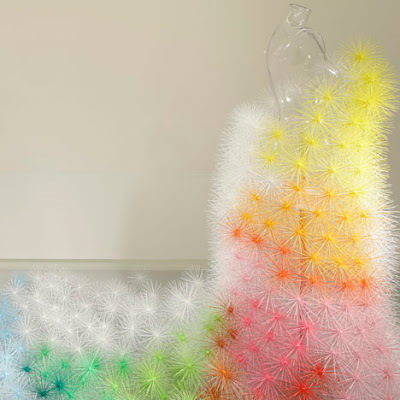 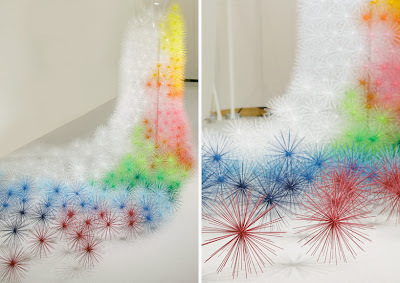 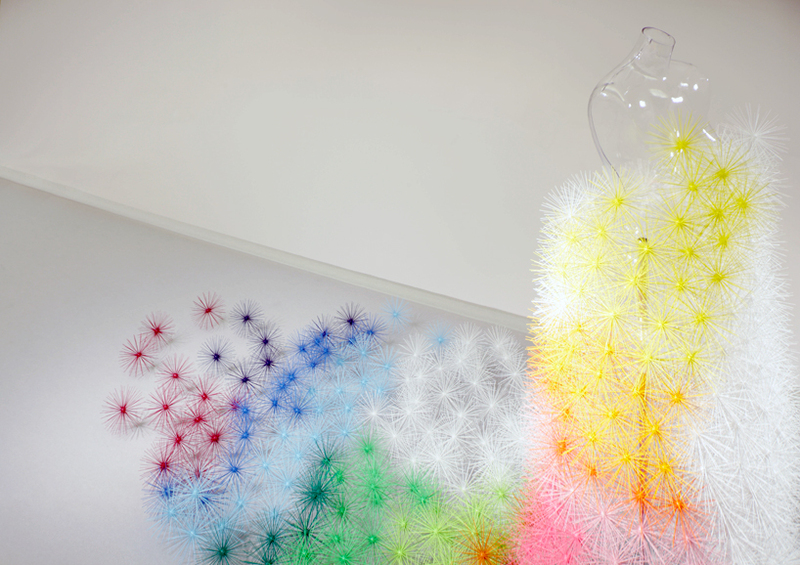 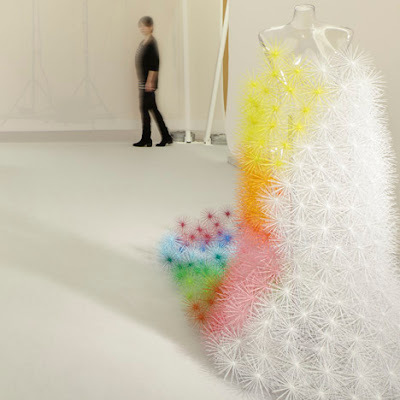 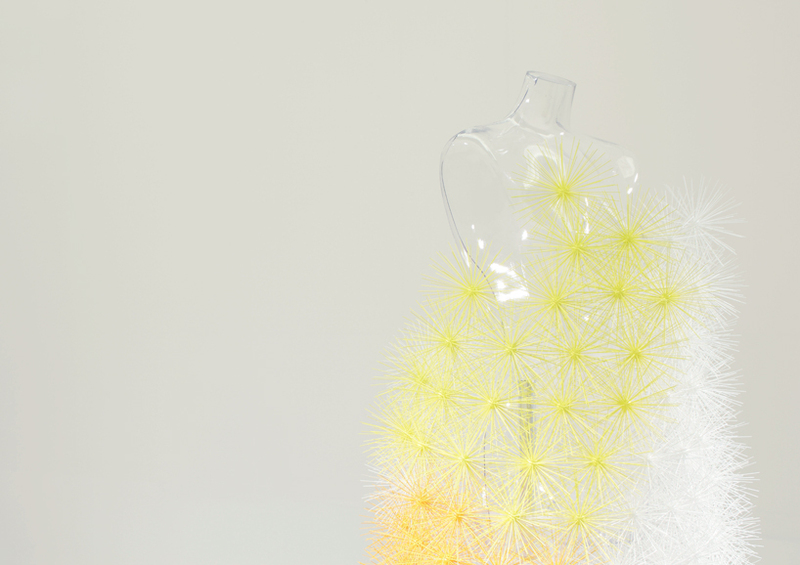 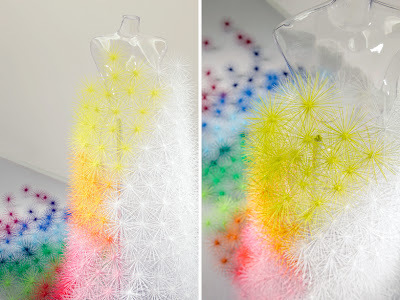 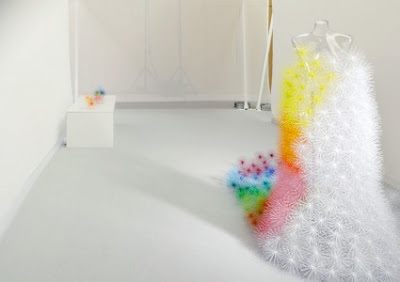 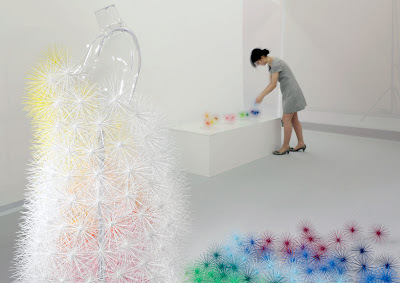 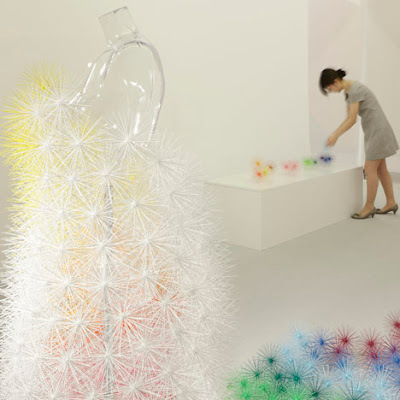 To demonstrate its structural potential and adaptability, moureaux created a wedding dress composed of 500 of the colorful thorn-like bulbs at designtide tokyo 2011. 'Toge' comes in 14 color varieties as well as white. 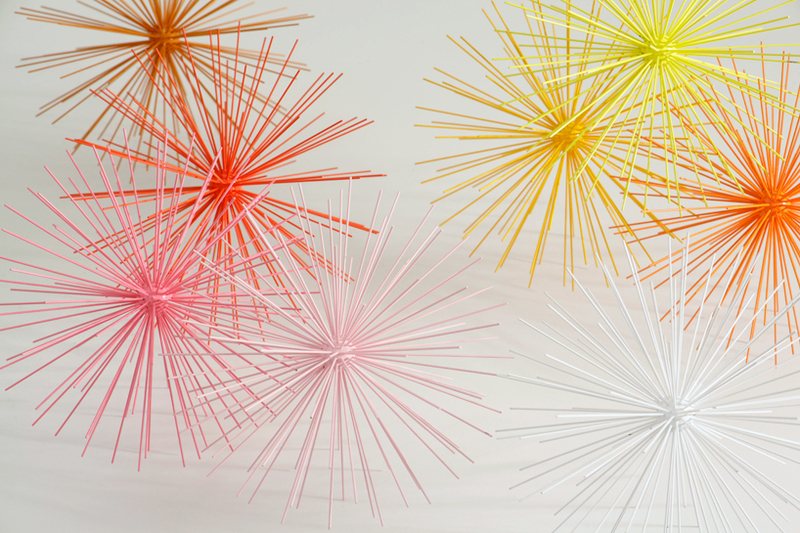 The main materials it is composed of is piano wire and epoxy resin.each individual module weighs 2 grams and measures 147 mm in diameter.